Dockers and Jenkins are the most popular tools in the DevOps environment. These tools automate the process from code development to deployment with less cycle time. I am sharing differences between these two tools for perfect understanding. 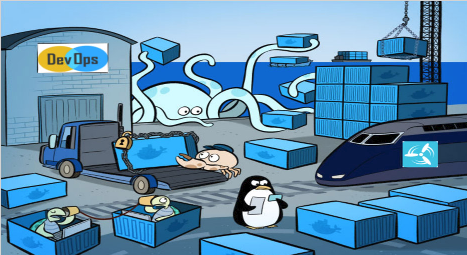 Docker is a platform where you can develop, deploy and run your applications using Containers. Docker uses Linux containers for deploying the code to production. Containers are very flexible. You can accommodate according to your workload. Containers launched by an Image. The image is an executable package which has all the necessary Libraries, Configuration files, Code and variables. Jenkins is an open source platform. You can automate the tasks like building, testing, delivering and deploying. You can run Jenkins along with Dockers or stand alone. Jenkins is highly scalable, and you can extend its features by installing plugins. Jenkins Pipeline has all the libraries and tools necessary to control the delivery process from building to production. Pipeline editing in Jenkins, you can do with BlueOcean plugin.